Are you a brand or agency wanting to save up to 75% on your feed management solution? You can understand how to do just that with our webinar: How to instantly unlock the hidden value in your shopping feeds. The webinar was hosted by Commercial Director of Productcaster, John Readman, and Dave Trolle, Managing Director of Marketing Technology. We were joined by Elliot Needham, Partner Manager at Productcaster to support with our live demo. We are here to create a change in an overpriced and unfairly charged feed management market. During our 30-minute webinar, we explain the opportunity for both brands and agencies whilst exploring how you can immediately reap the benefits. Feed driven marketing drives up to 60% of brand’s online revenue. Over recent years there has been exponential growth in channels which are primarily dependent on product feeds. We take a look at the opportunity for brands and agencies to better grow their feed driven marketing strategy. Discover how to unlock the hidden value and gain insight into how you can profit from using a trusted feed management solution. This is an essential step that you must get right in order to maximise ROI on your feed driven marketing. Take a look at our Feed Manager solution including, publishing, optimisation, enrichment and diagnostics. 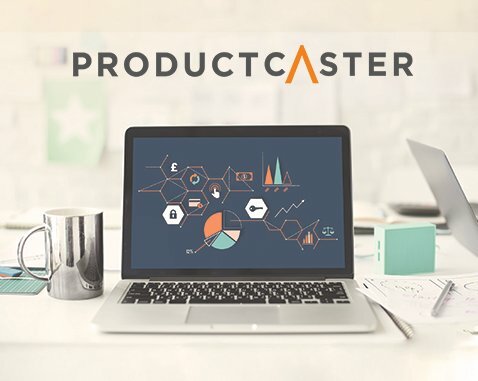 Listen to real-life case studies from brands and agencies and learn how using Productcaster has improved their online marketing strategy to drive success. At the end of the webinar, learn and hear from like-minded peers and industry specialists on feed management.